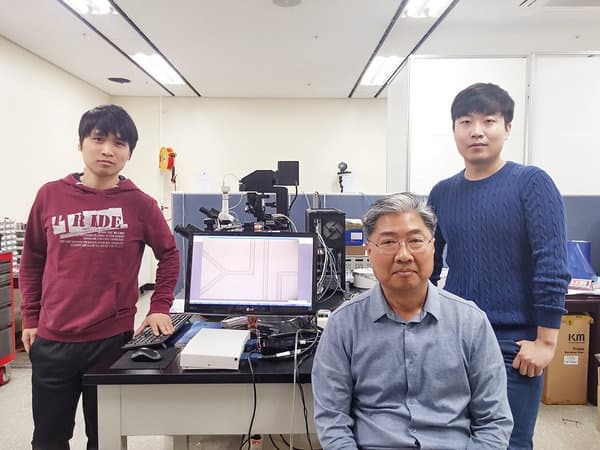 A group of researchers from the Pohang University of Science and Technology (POSTECH) has designed a unique algorithm which helps a lab-on-chip (LOC) system to run autonomously without disturbance. LOCs are integrated systems that are especially designed to serve multiple laboratory functions on a single chip with the help of a fluid. The fluid passes through a micro channel network and maintains the synchronization. Although the new technology has multivariate applications in biochemical diagnosis methods and immunology, it is not full proof. A drop of blood in micro-level usage can generate significant results pertaining to HIV infections. However, it has to depend on different parameter values and on manual tuning. Such a process leads to errors which could be fatal in some cases where micro scaled calibration is a must. Small variations have the potential to drastically change the nature of output which is undesired for both industrial use and in medical science. To control the fluid flow, a Proportional-Integral-Derivative controller is used which manipulates the flow by controlling the feedback data accordingly. In spite of the available solution, the gain corresponding to the controller and system needs a fine-tuning process where it is difficult to predict if the assigned person is unfamiliar with control theory and process control systems. The latest research from POSTECH however eliminates the tedious responsibility of gain-tuning and imposes an algorithm which automatically improves the accuracy and stability of the system. The algorithm can further assist the system by controlling separate channels simultaneously and provides better support. Researchers believe that in the future, their lab oriented method will vastly improve industrial applications. The complete report was titled as “Tuning-free controller to accurately regulate flow rates in a microfluidic network” and was published in the Scientific Reports Journal.